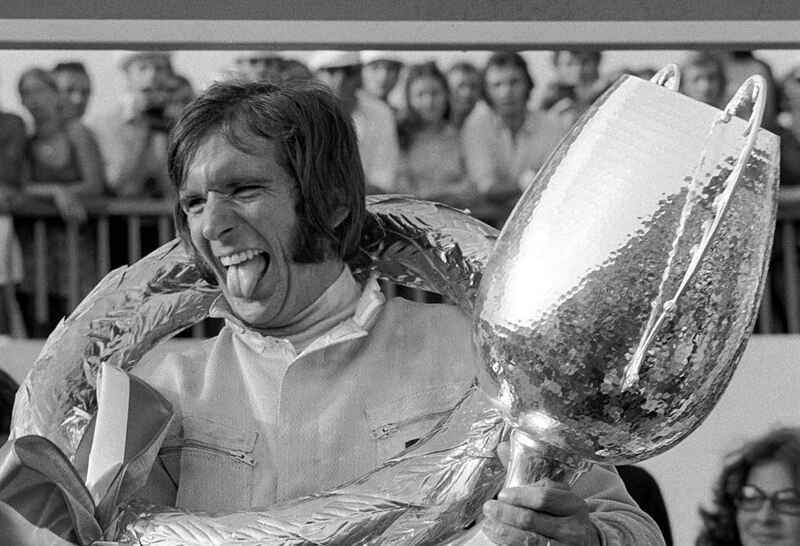 Emerson Fittipaldi all but secured the drivers' championship with victory in the Austrian Grand Prix, his fourth of the season. The result left him 25 points clear of Denny Hulme with three races remaining, and meant Hulme had to win all three grands prix and hope Fittipaldi did not secure another point. On a track where overtaking was hard at the best of times - and issues with tyres made it even more difficult - Fittipaldi secured a big advantage by taking pole from Clay Regazzoni. But Jackie Stewart was quickest off the line and led for the first 23 laps despite considerable handling problems in the heat, running wide at corners. By halfway he also had suspension and braking issues and he was passed by a succession of cars. "It handled badly at the start and got progressively worse," he shrugged. "I realised early on Emerson was going to pass." Fittipaldi was still not safe, as Denny Hulme, who began the race in seventh, carved his way up to second with a succession of fastest laps, but every time he closed on the Lotus, Fittipaldi seemed to step up the pace and give himself breathing space. Even so, the gap between the two was rarely more than a second. Jackie Ickx's flickering championship hopes ended when his Ferrari, out of sorts all weekend, retired on the 20th lap, and Ronnie Peterson missed out on the points for the second race running when his March expired while he was in fourth. The second Ferrari of Clay Regazzoni was equally unreliable, losing ground after starting in second and eventually pitted on the 11th lap while in seventh and the car never got going again. At the back of the field the home-built British Connew driven by Francois Migault impressed observers until its suspension collapsed, while another newcomer - the Techno of Nanni Galli - climbed as high as 11th before a long pit stop.